A rich brioche dough turned into a sweet & delicious monkey bread. It's so worth the extra effort! Sponge: Combine the yeast and milk in the bowl of standing mixer fitted with a paddle attachment and whisk until the yeast is dissolved. Stir in the sugar and flour, forming a thick batter. Cover with plastic film and let rest in a warm environment for 30-45 minutes. 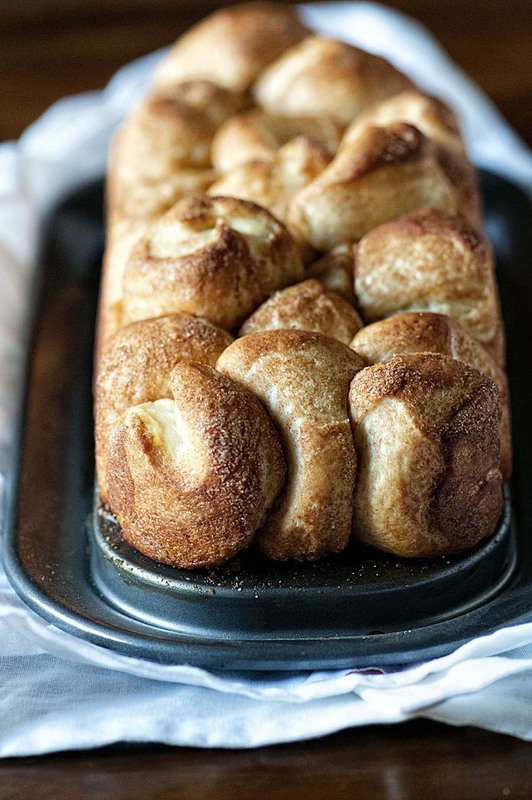 Turn this brioche monkey bread into this 'over the top' bread pudding for a special treat! This recipe is a 2-step process for the dough – first the sponge is made, and then the dough. You could make the sponge and after it rises, add it to the other dough ingredients in your bread machine. It would be best if your machine has a ‘sweet dough’ setting. Select dough cycle, and remove dough after it is done rising, then continue with recipe directions. We also have lots of recipes for the bread machine here: https://redstaryeast.com/recipes/bread-machine-recipes/. A bread pan is used to bake the monkey bread.